Who will invest first, when many others need to benefit? How do you enable cofinancing in the development of urban resilience? What are challenges in implementing strategic and integrated asset management? 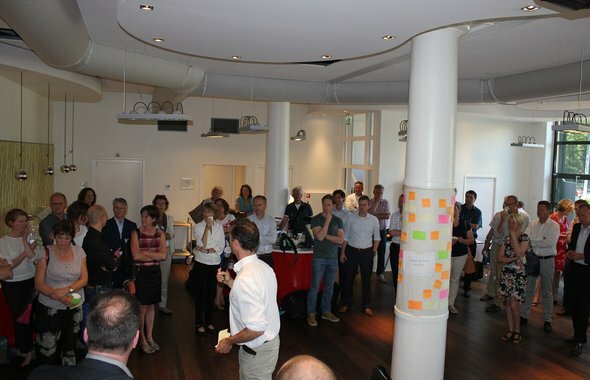 We explored these questions with the Dutch Deltaprogramma and over 60 partners. We found that many local governments and businesses find it difficult to arrange deals to shift from goals to projects and make a meaningful change. Lack of locally available knowledge and experience holds back progres, while these assets are available but unknown. The session concluded with lively debate and resulted in clear calls for action: focus on stronger alliances to share knowledge and best practices. Platforms such as Rioned, Klimaatverbond, The United Waterboards and ‘Watertorenberaad’ need to catalyze this process. Another call for action is for banks and insurance companies to start sharing the responsibilities of their client’s situations. The Dutch Ministery of Infrastructure and Environment agreed to contribute by challenging the financial sector. It’s better to invest in resilience then pay for the damage. Except's Bart Stoffels moderated the working conference organized together with Chantal Klaver, ORG-ID, Sterk Consulting and AT Osborne, the latter also being the host with their lovely historic coach house.